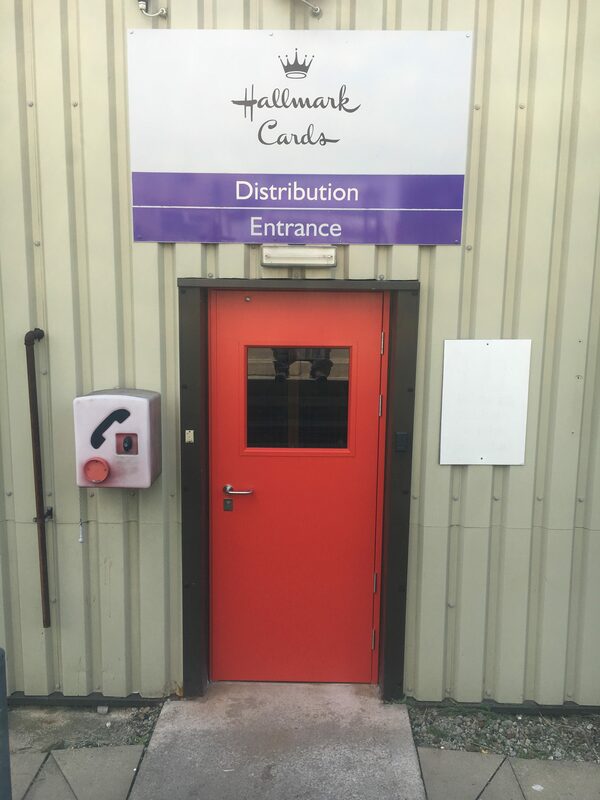 Every month we have vouchers up for grabs, with winners picked at random. 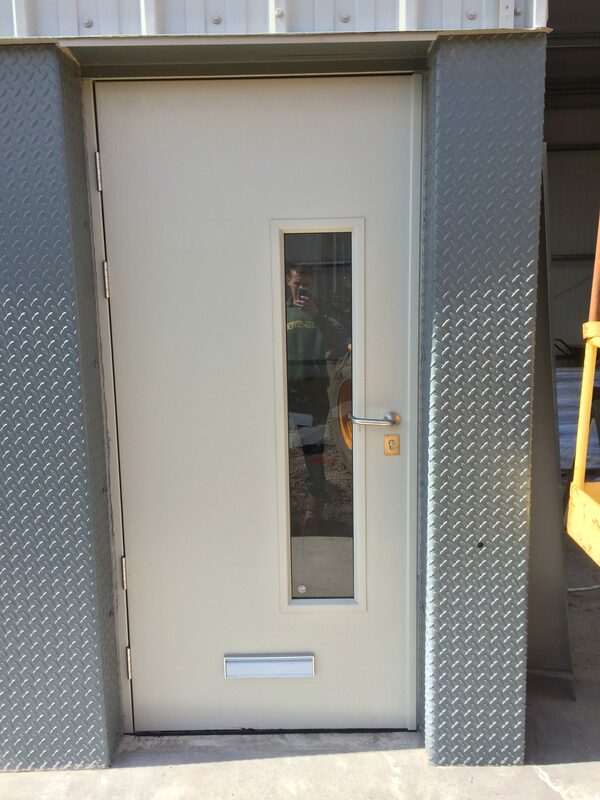 Submit your installed doorset and be in with a chance of winning today!
" 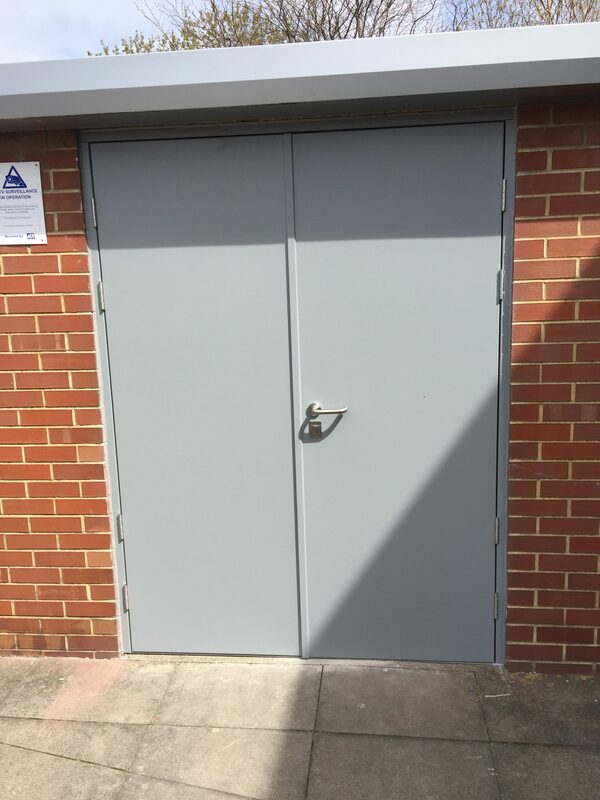 Steel door set, replacing an old narrow aluminium double door set "
" Fitted 9 Steel hinged doors in Buckhurst "
" Replacement fire door "
" 1 of 5 door sets installed to gas meter rooms. " 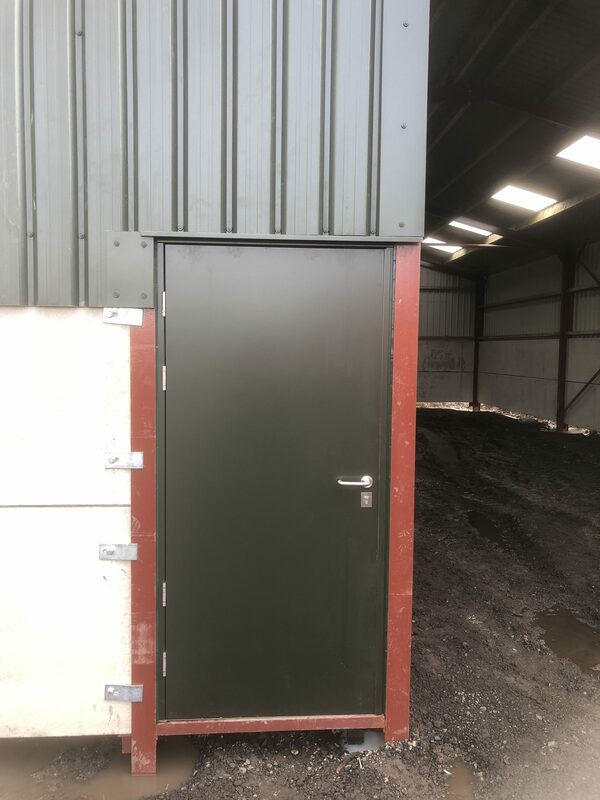 " Always a pleasure to fit a quality product "
" A tricky installation complete with steel box section both sides but great product once again from you guys 👌 "
" Attached photo is the recent order of doors from yourselves on our unit "
" Doors delivered Saturday Morning, fitted over the weekend. 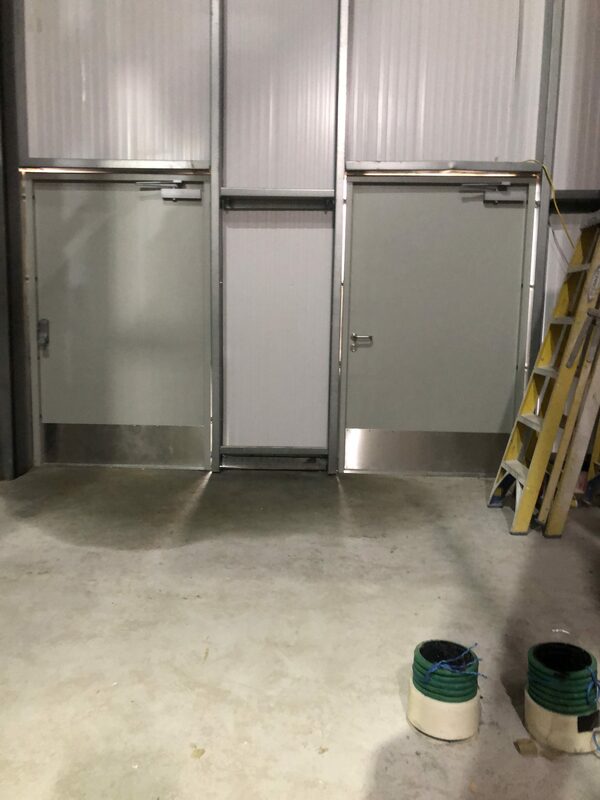 One set of double doors & 1 single door by myself. 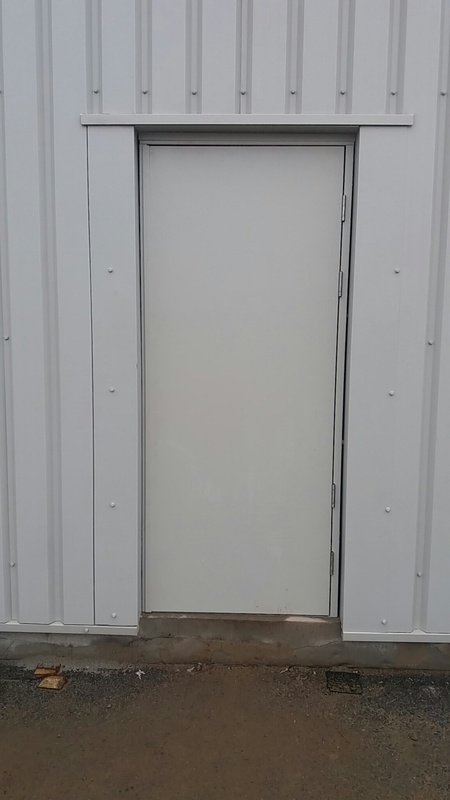 (These doors are 100% better than a previous supplier) "
" Door seems pretty sturdy, good job. " 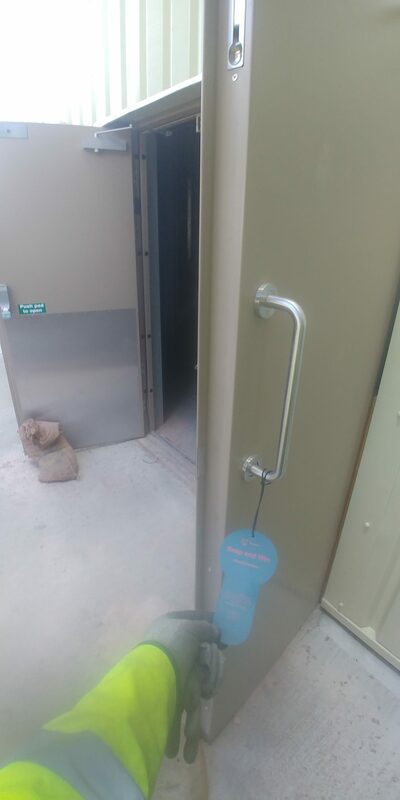 " First time of fitting a Metador Product. 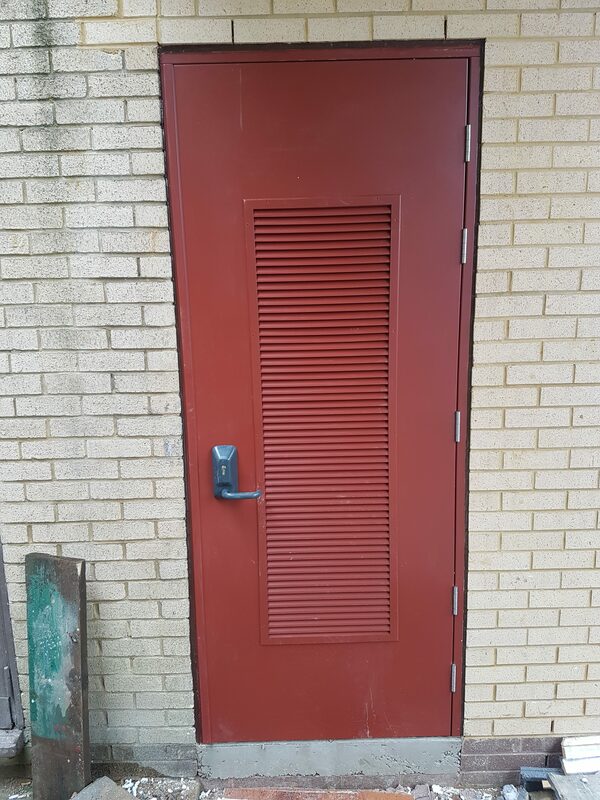 Very well manufactured Door. 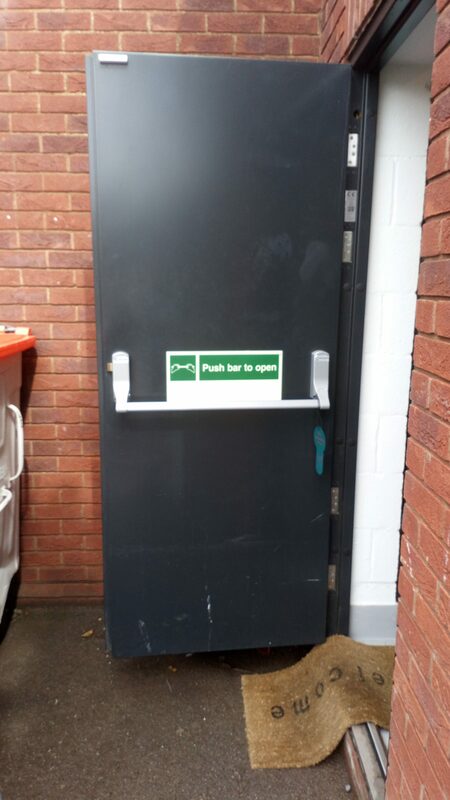 Pleasure to fit. 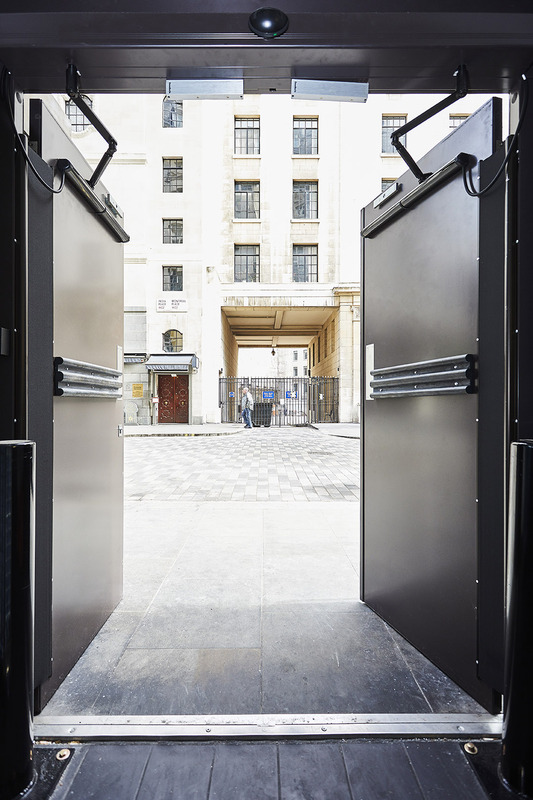 Look forward to the next ones. " 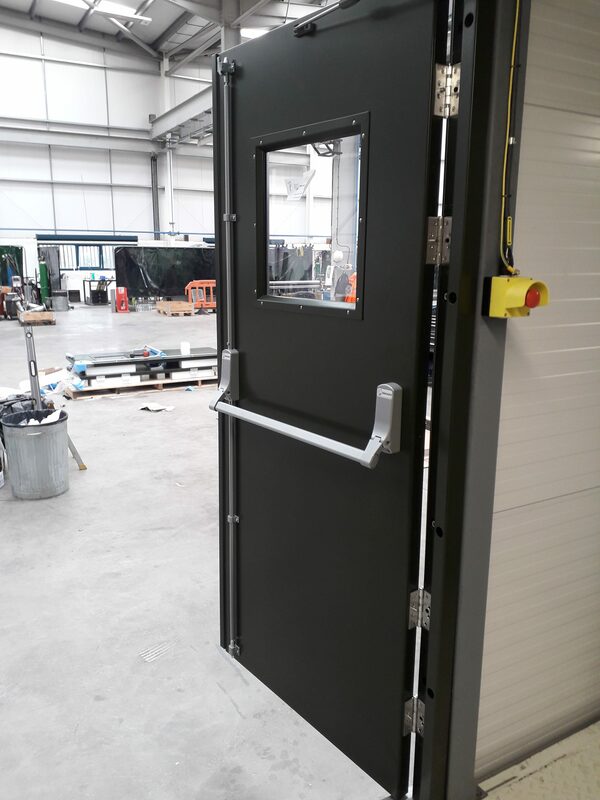 " Set of external doors for Dover RCT "
" Metador Defender Soundguard doorset installed on Acoustic Enclosure "
" Liking the quality guys. 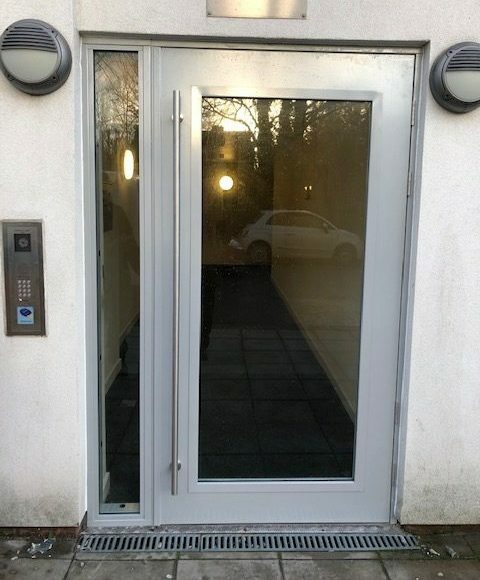 Definitely had some thought put into the construction. " 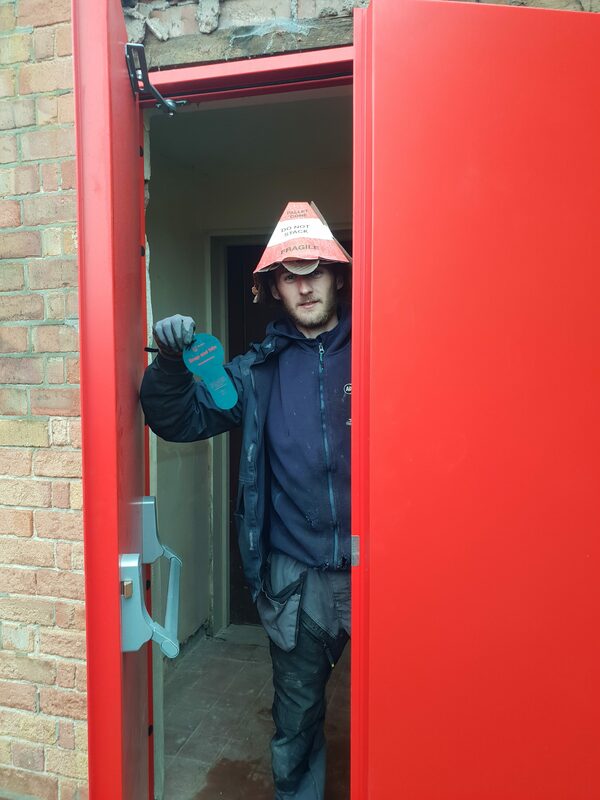 " Doors fit and work very well, client impressed with the finish - and happy with the free hard hat! " 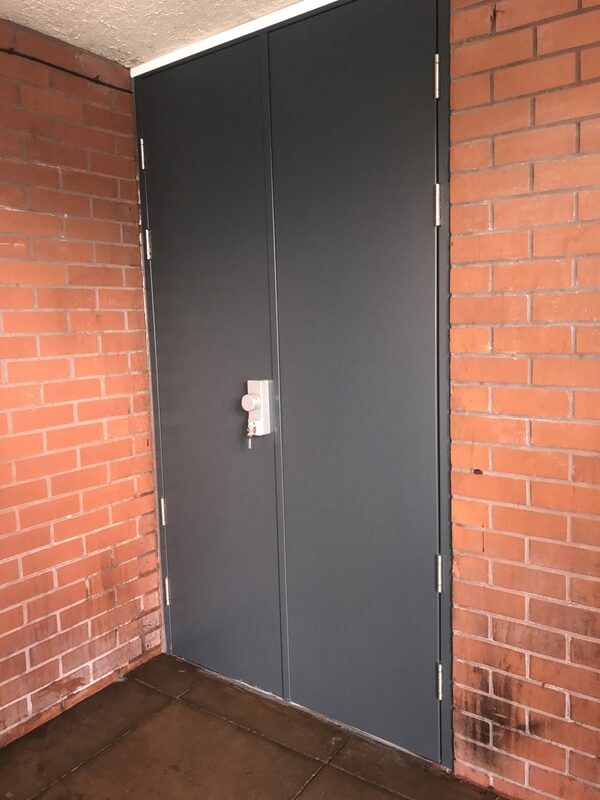 " Very nice fit with very little effort "
" Was fun to fit. " 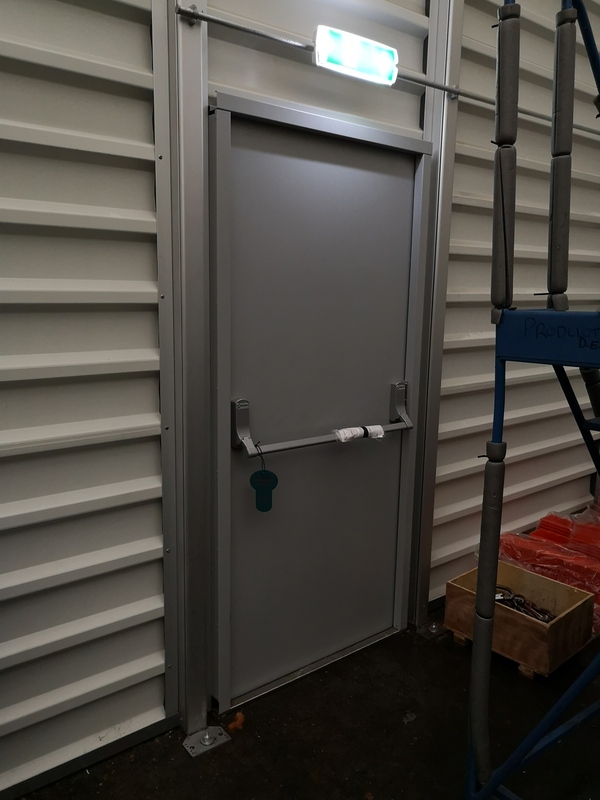 " 1 of many we are fitting on a modular new build in a mod base "
" An excellent solution for worn out aluminium door sets. " 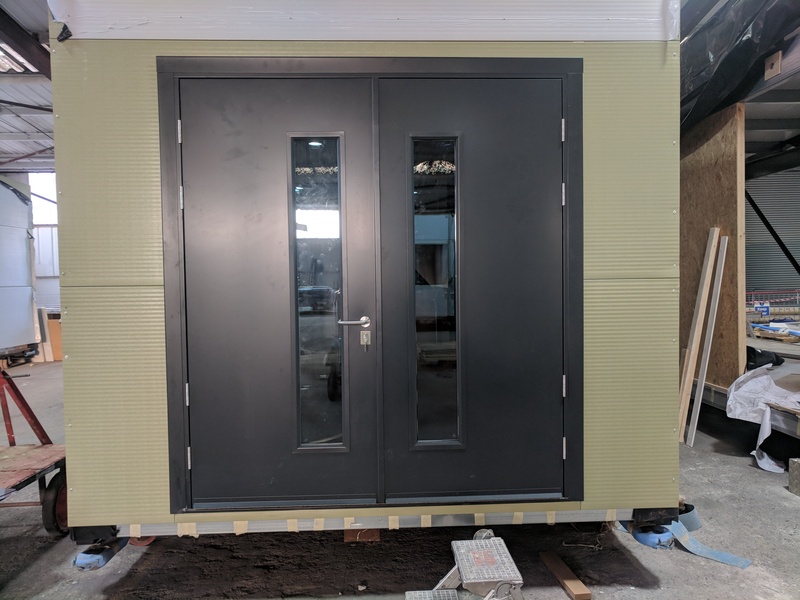 " Nice finish and fitted well "
" Quality installation B.I.S (best in show) "
" Credit to all your team - well done "
" I hope I'm not too late to enter for the chance to win. " 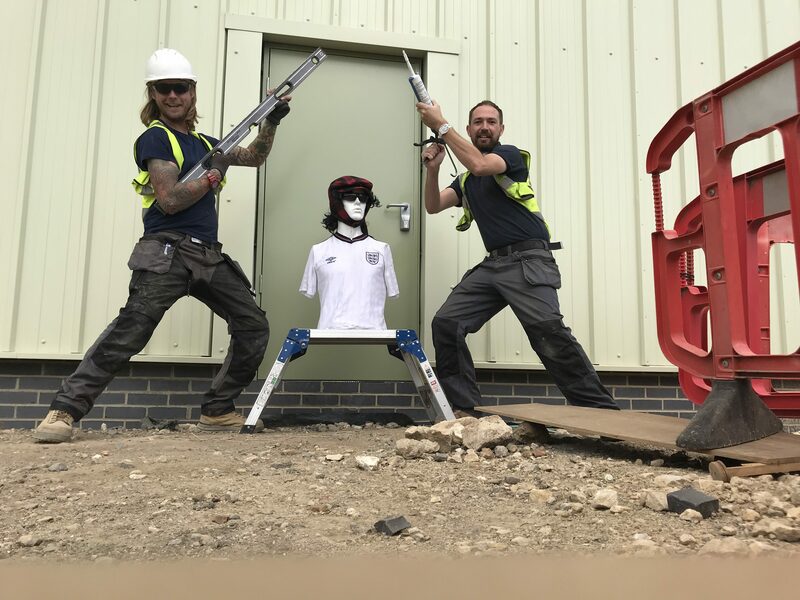 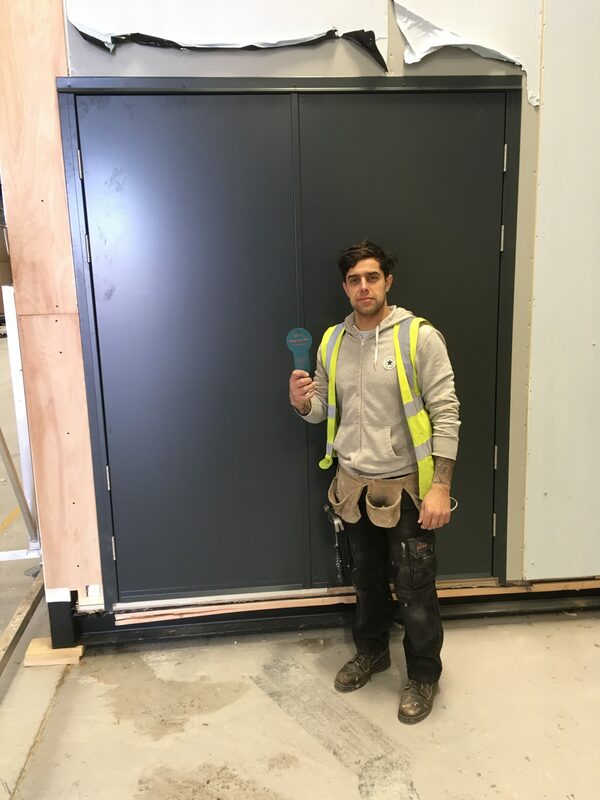 " Very impressed job went well "
" great idea, the dangly key caught my eye and i read it not knowing it was a competition 👍 "
" Fantastic product. 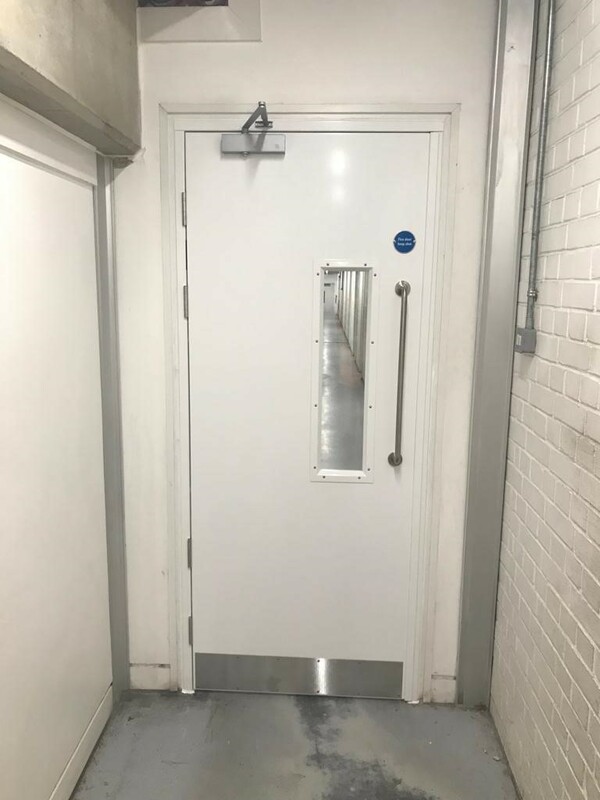 Thankyou "
" Excellent fit. 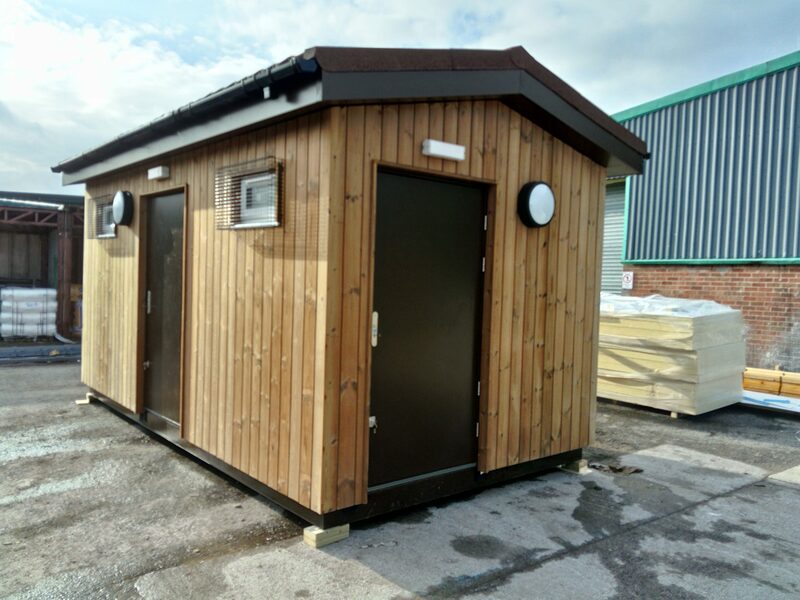 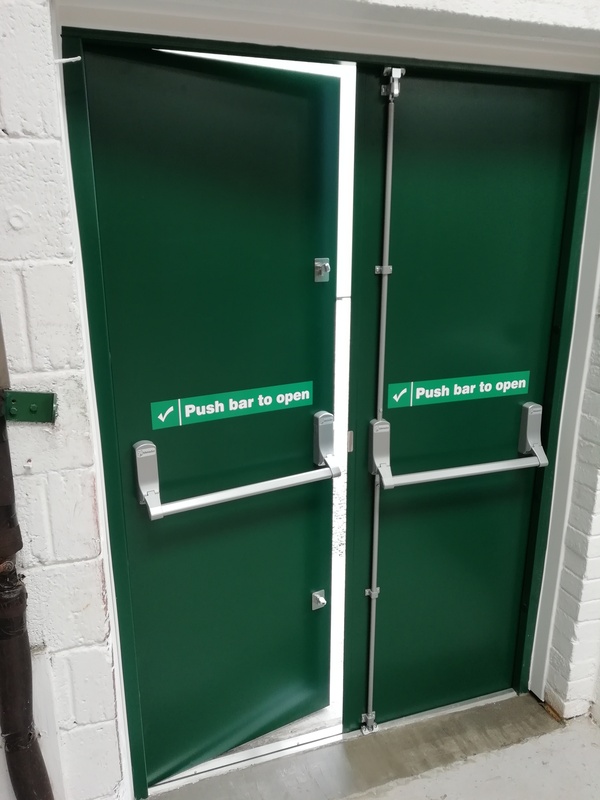 Great doors "
" Great doors to fit everything you need and great build quality "
" Double doors with surrounding louvered panels to new plant room. " 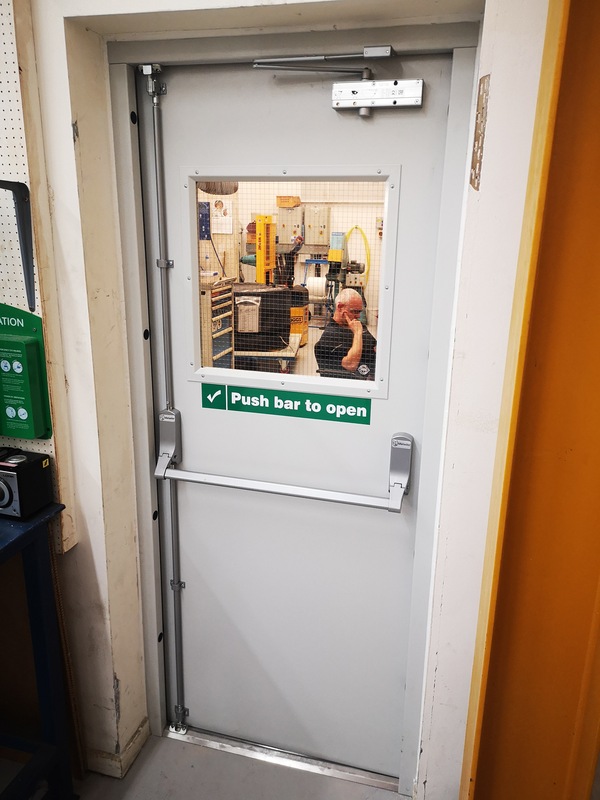 " The prince of doors!...... " 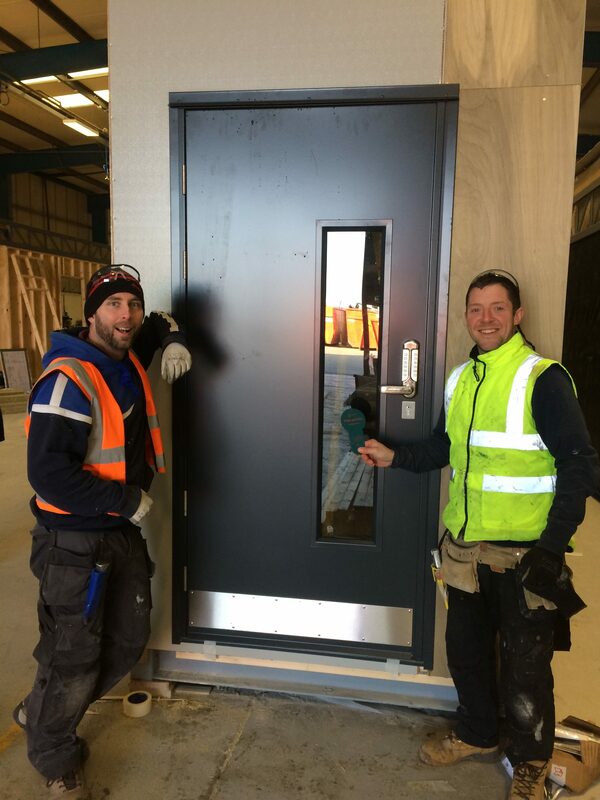 " The Big & Little! " 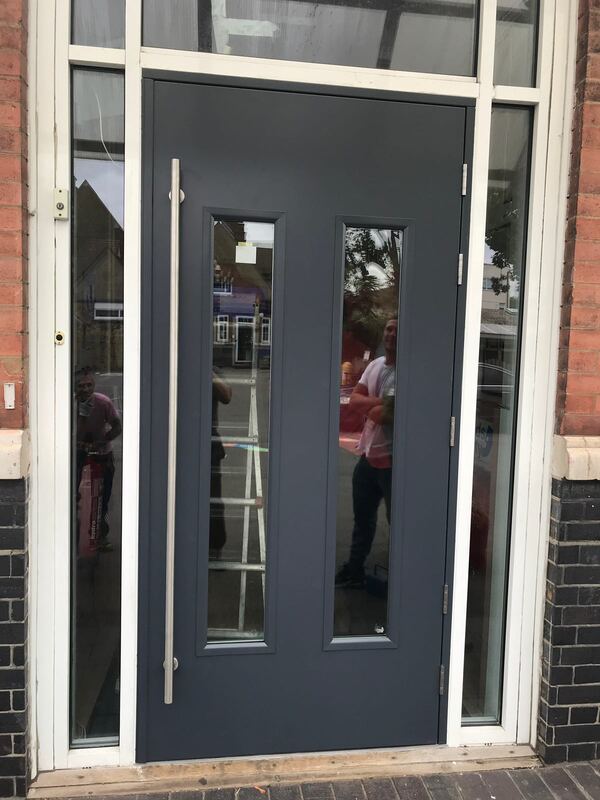 " Easy and effective "
" Customer and myself are happy with the doors. 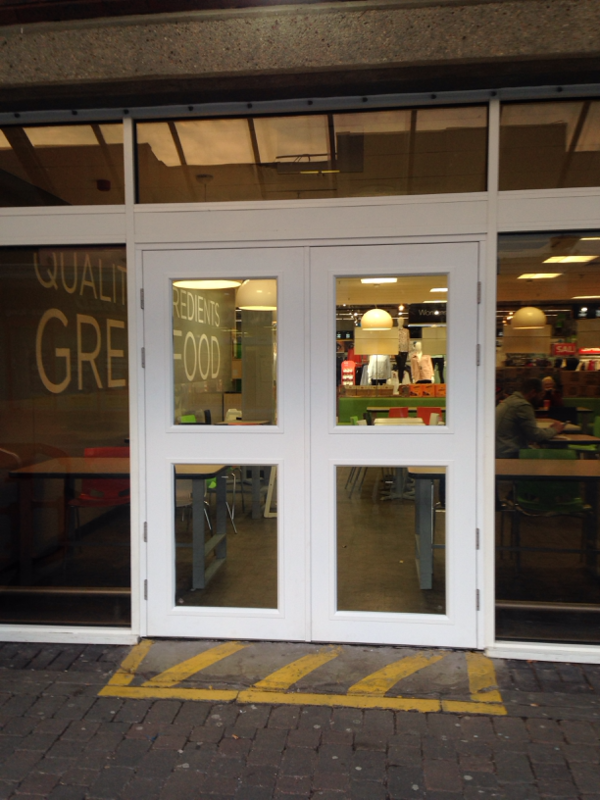 Great service will be using you again. " 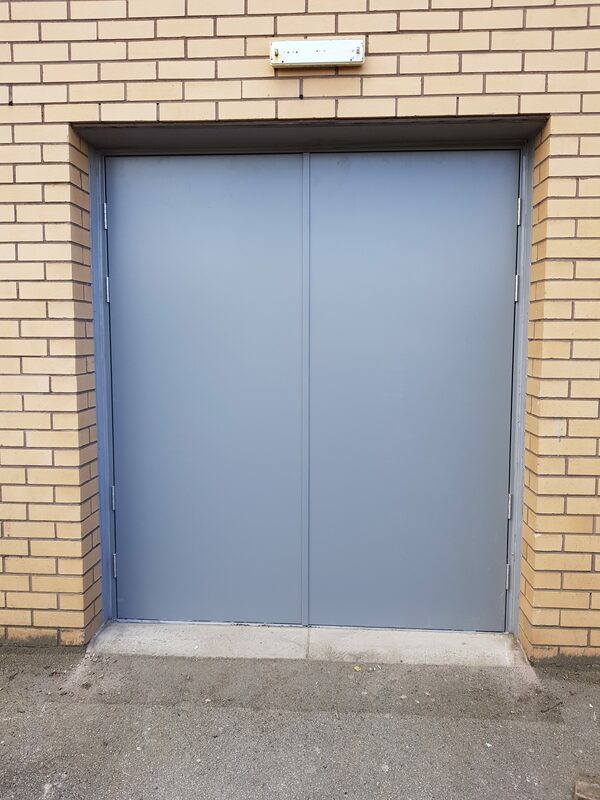 " The client was highly delighted with the product and the installation. " 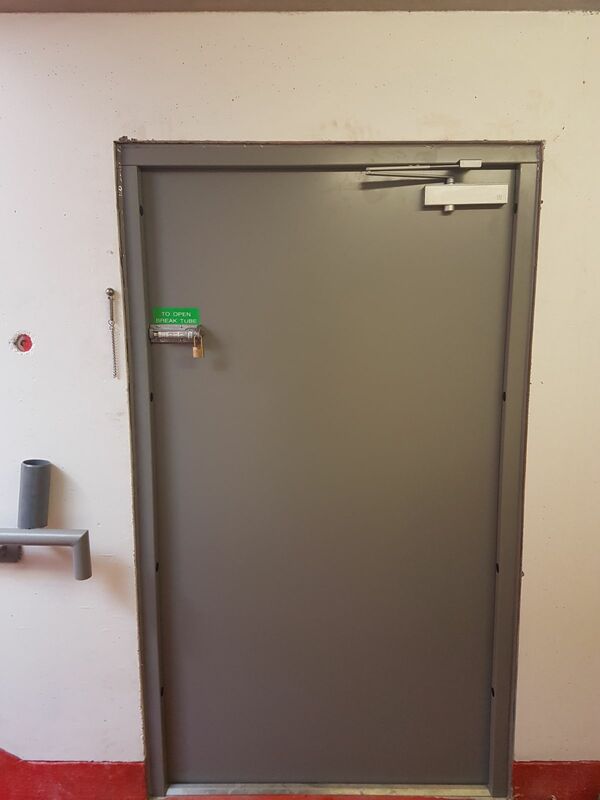 " The door was a doddle to fit . 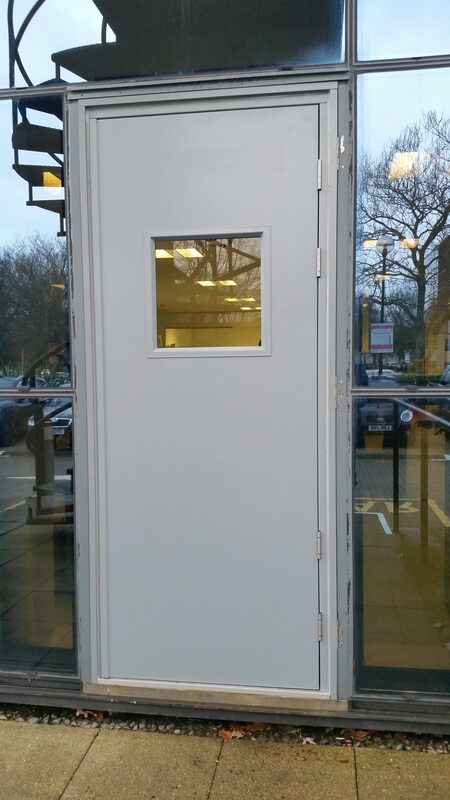 Well manufactured "
" THREE DOORS FITTED ON THIS INSTALLATION "
" Lovely fitting doors. " 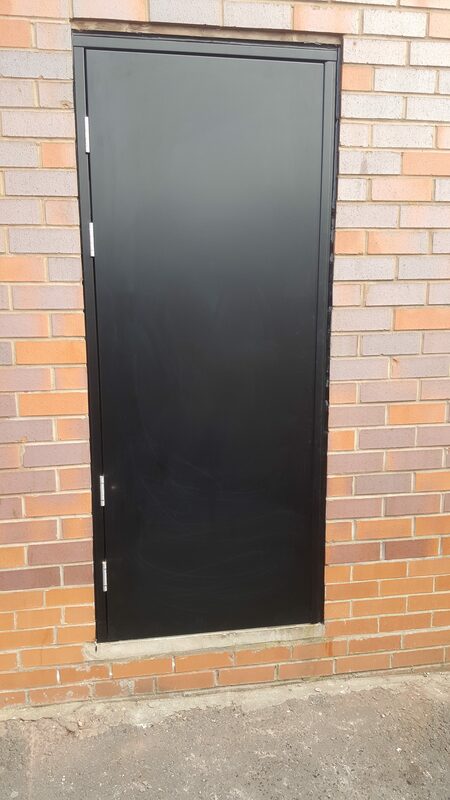 " Great quality door. 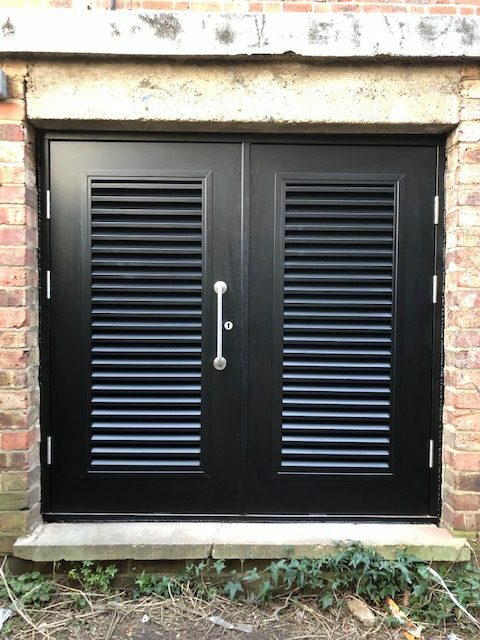 Very happy customer "
Installed for: Door and Shutter Company, Cowes. 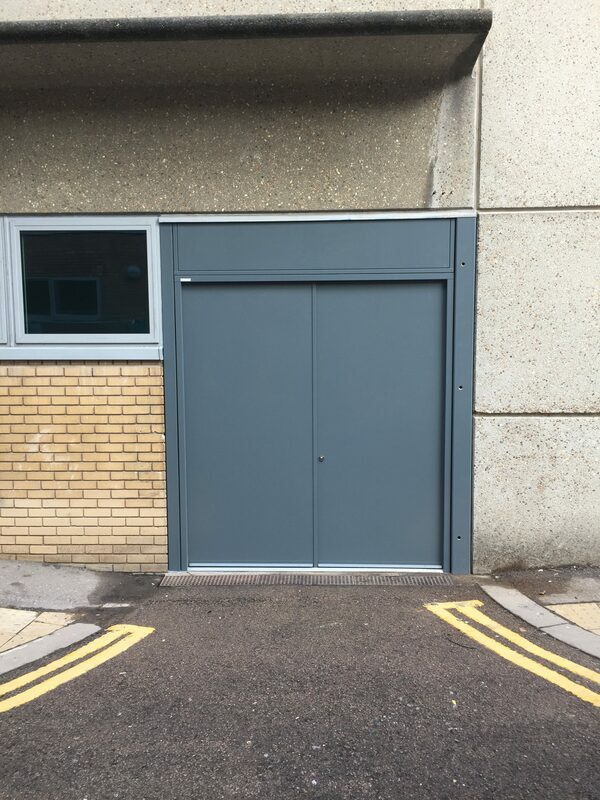 Isle of Wight.
" 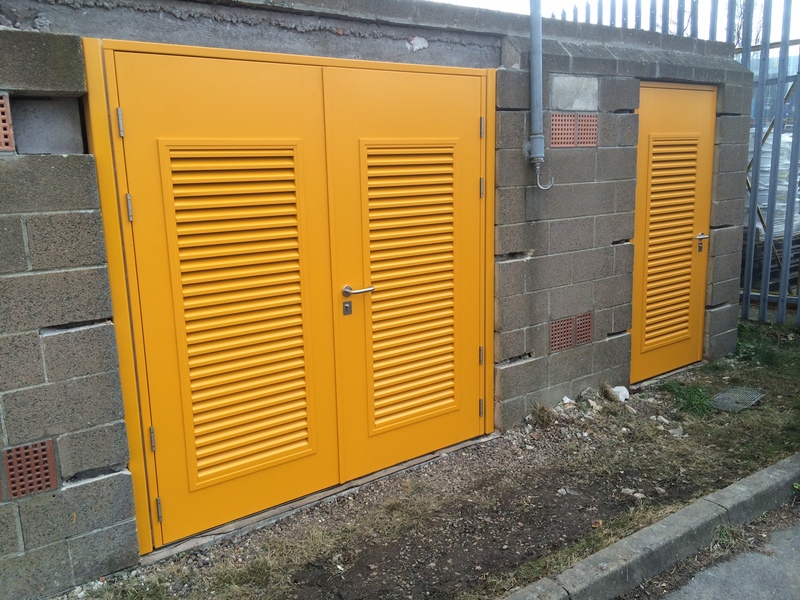 These 6 were fitted by me at the cut in Cowes Isle of wight. 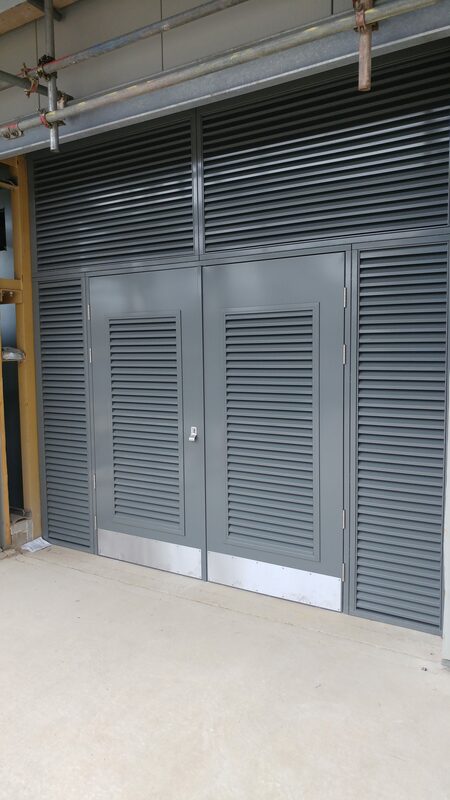 For the Parish Council on behalf of a Door and Shutter Company. " 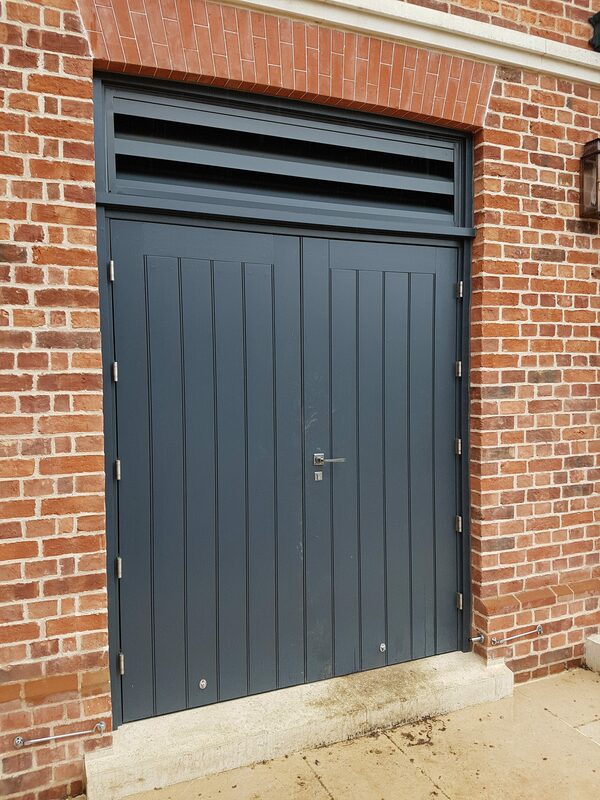 " Cheers for the sherbert lemons ;) "
" Timber clad doors suited to a new extension for a listed building. " 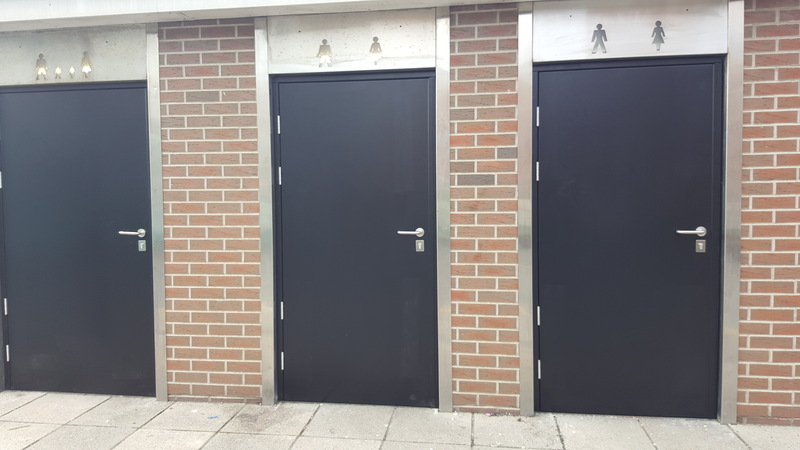 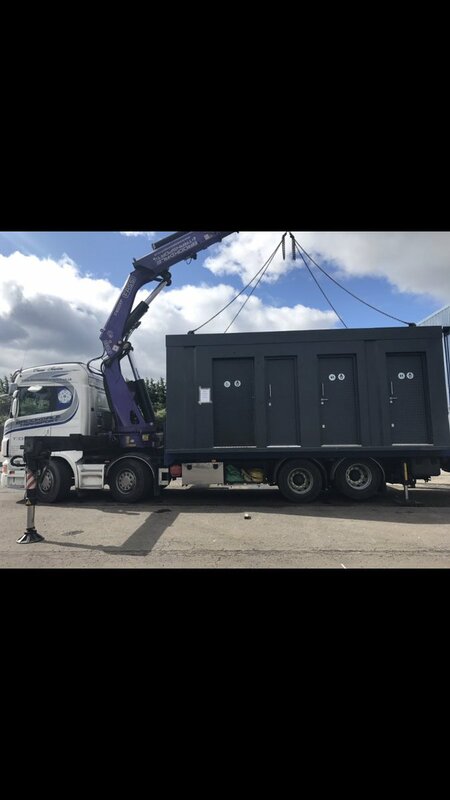 " completed project on roof of 9th floor building London SW5 overlooking Chelsea football ground "
" Two brown doors we have ordered look good - great for installing into a disabled toilet unit. " 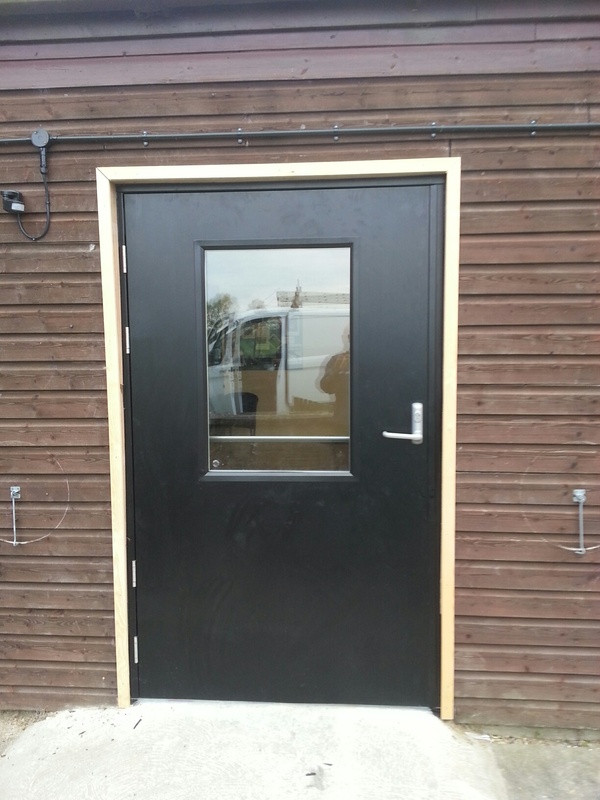 " Done and dusted "
" Replacement door and frame into existing side and top panels. " 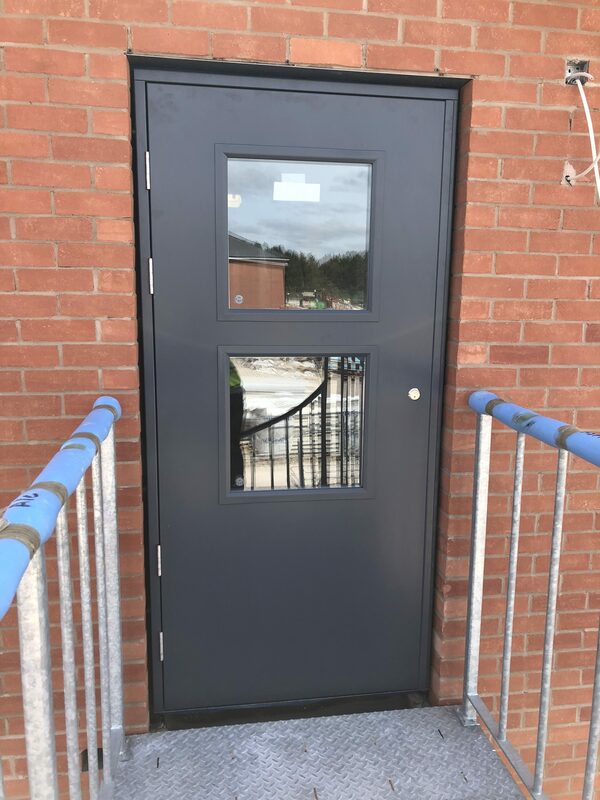 " The door was simple to fit and great quality "
" Secure door , easy and fast installation, great quality 👌🏻 "
" Metador defender single leaf, mortise deadlocks, double Euro cylinders, pull handle push plate 203/1168 vision panel surface mounted closer finished in Merlin Grey. 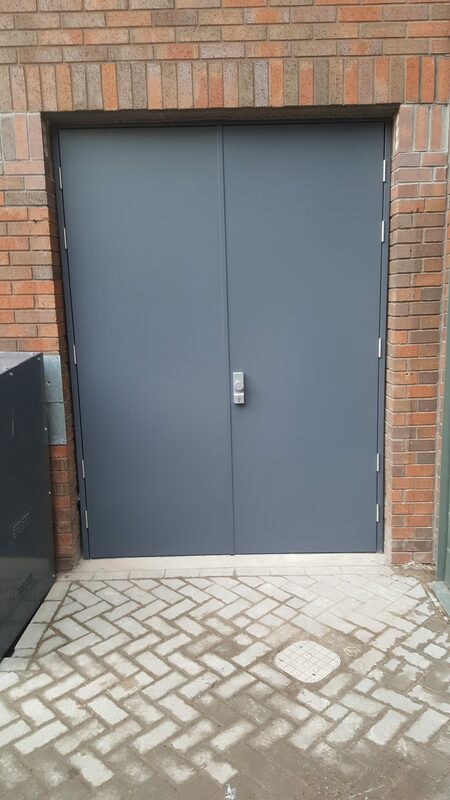 Client very happy “ looks great”. " 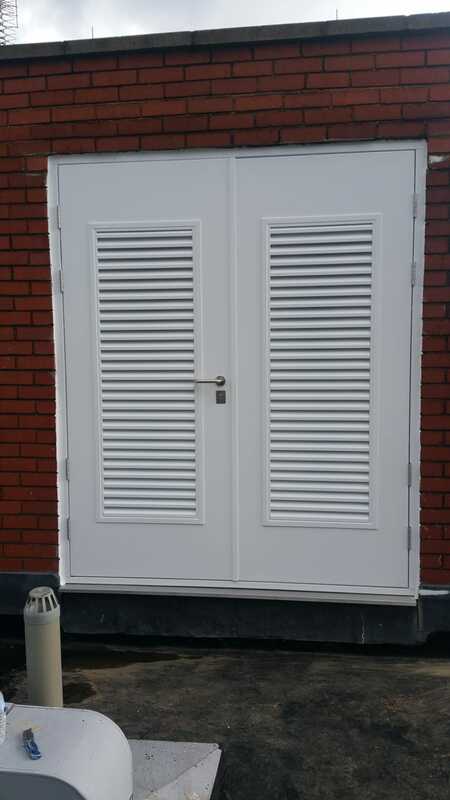 " Fantastic product. 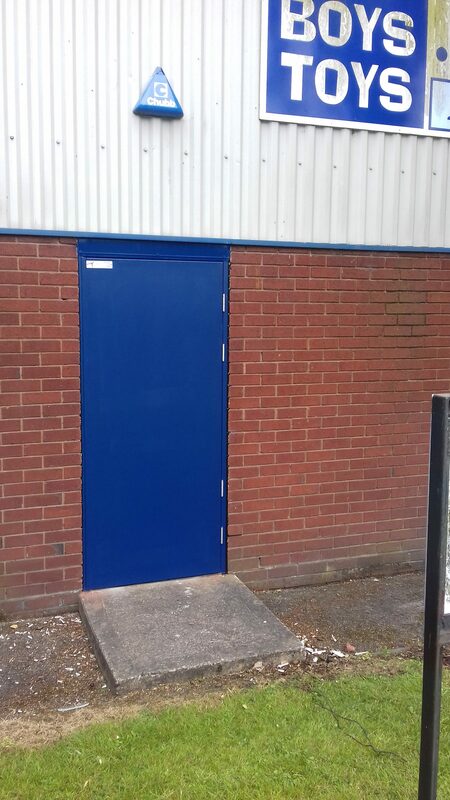 Really pleased with the results. " 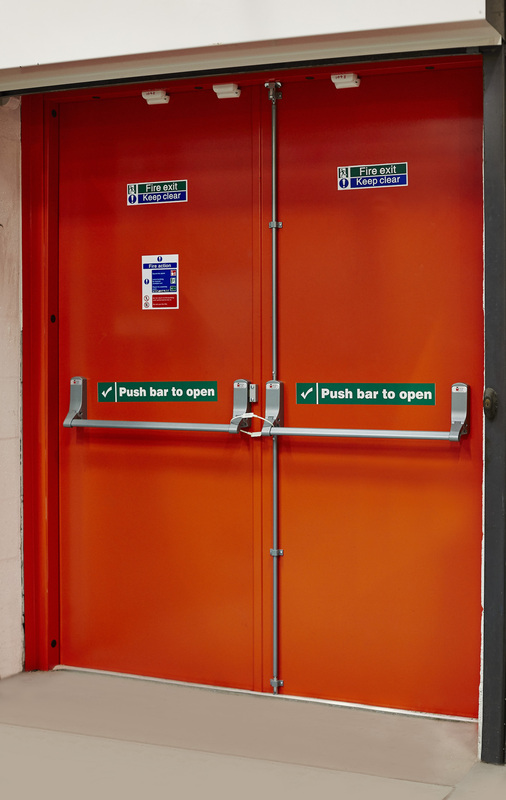 " Went in perfectly and easily. 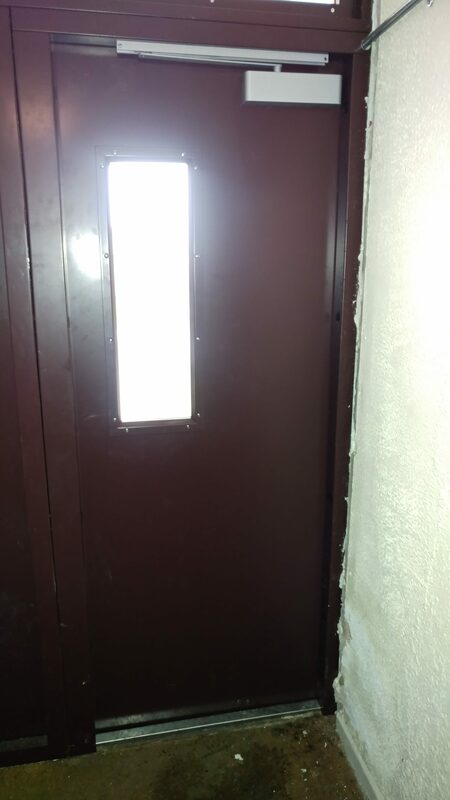 Thanks for the lemon sherbet as always. " 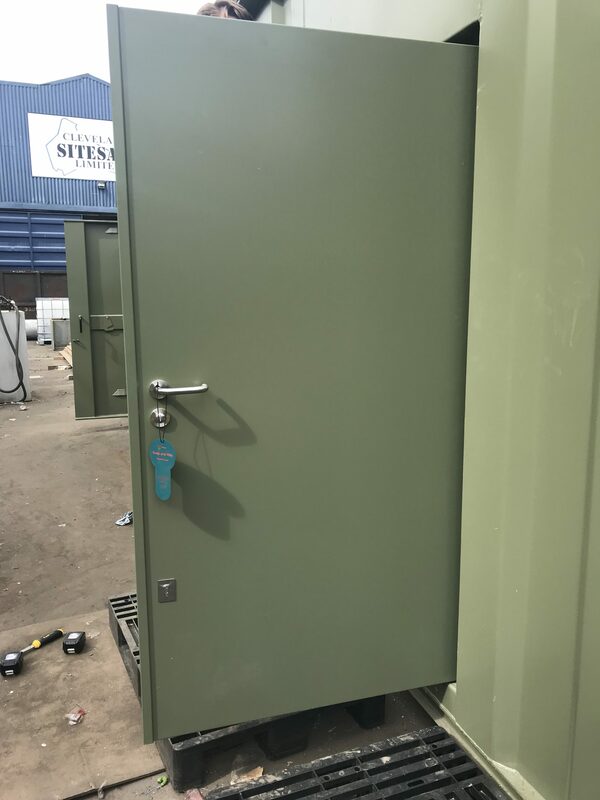 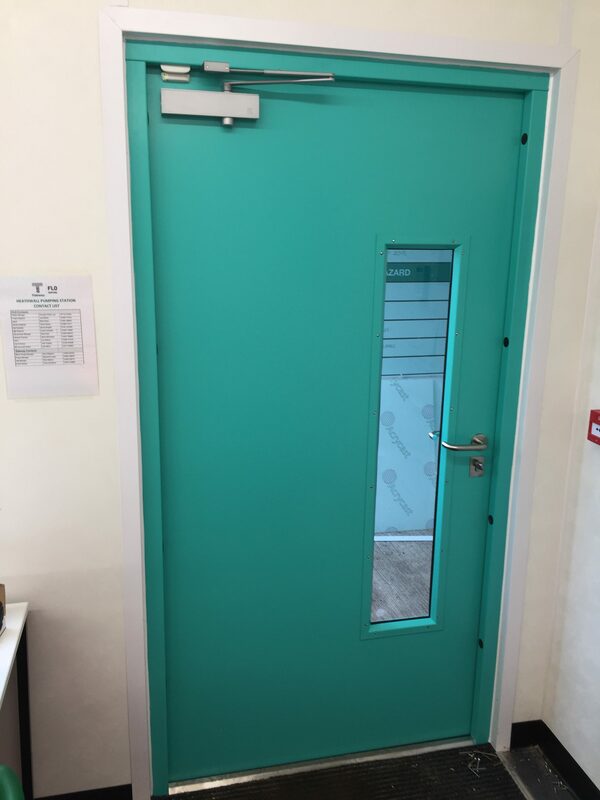 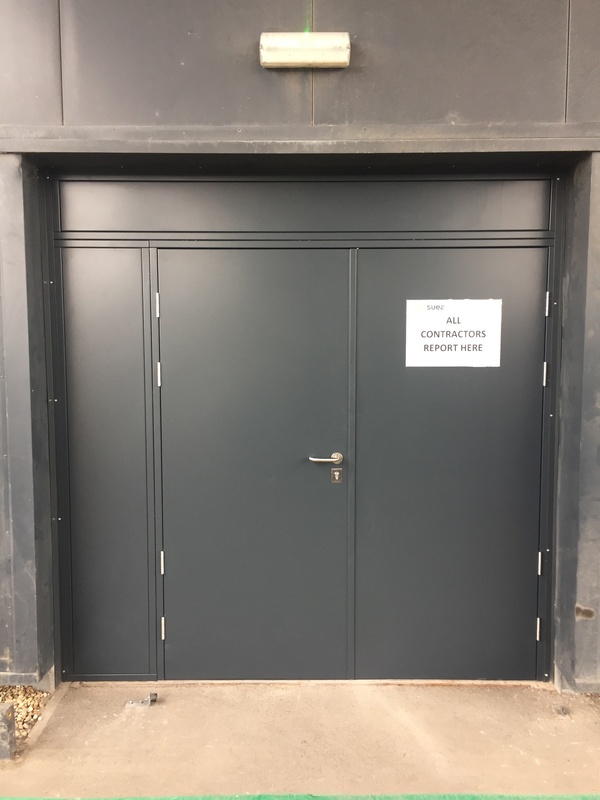 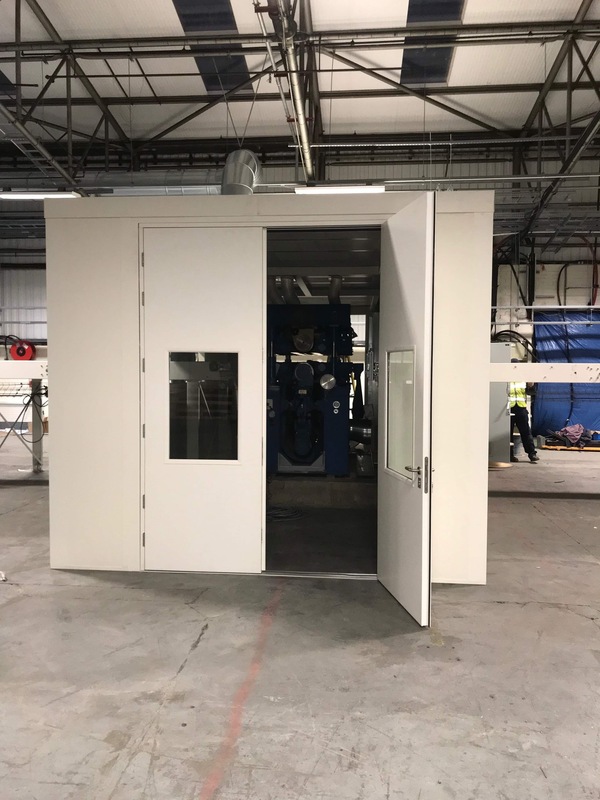 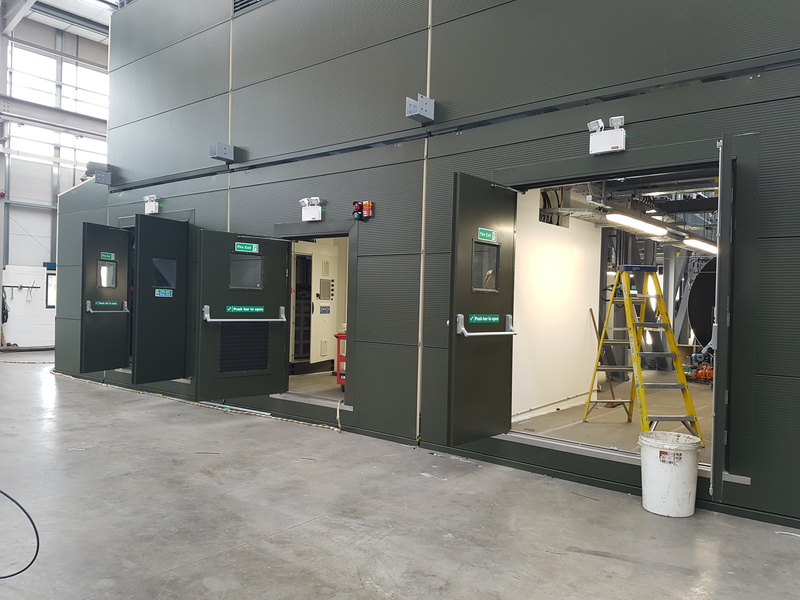 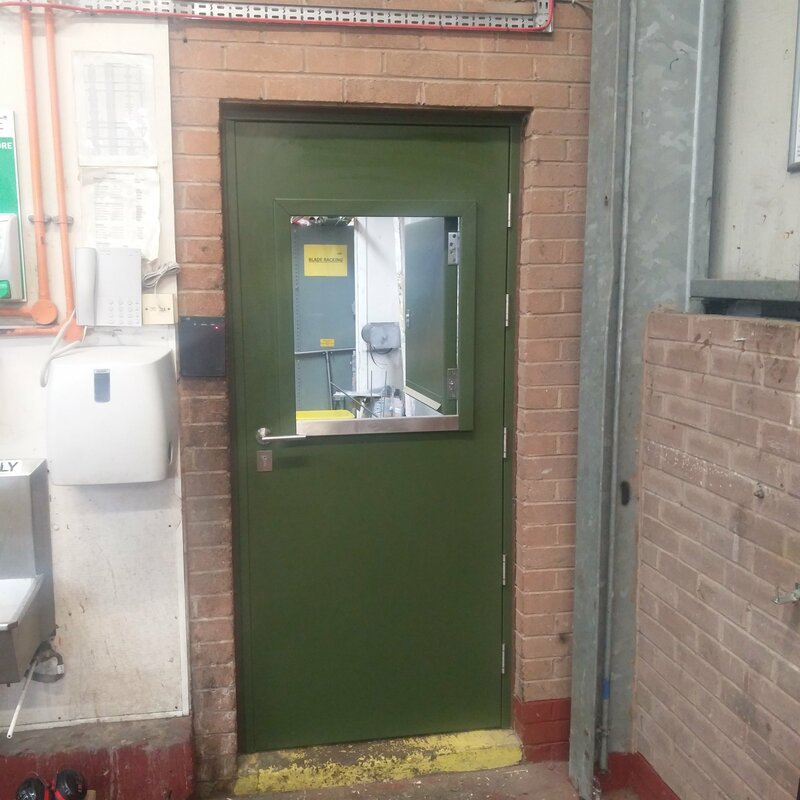 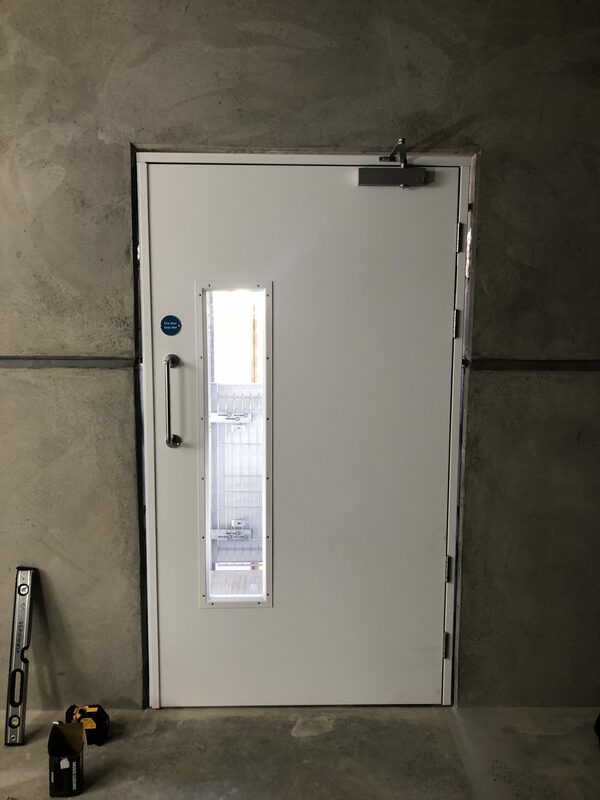 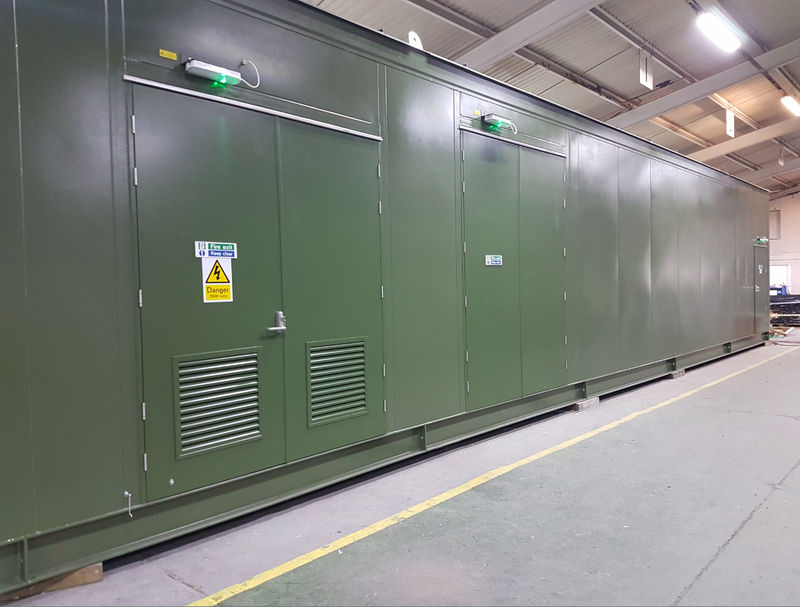 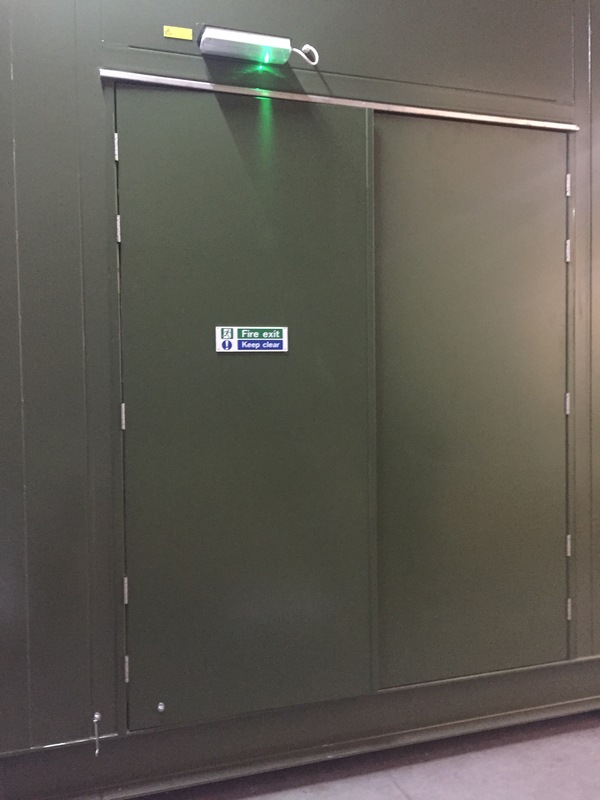 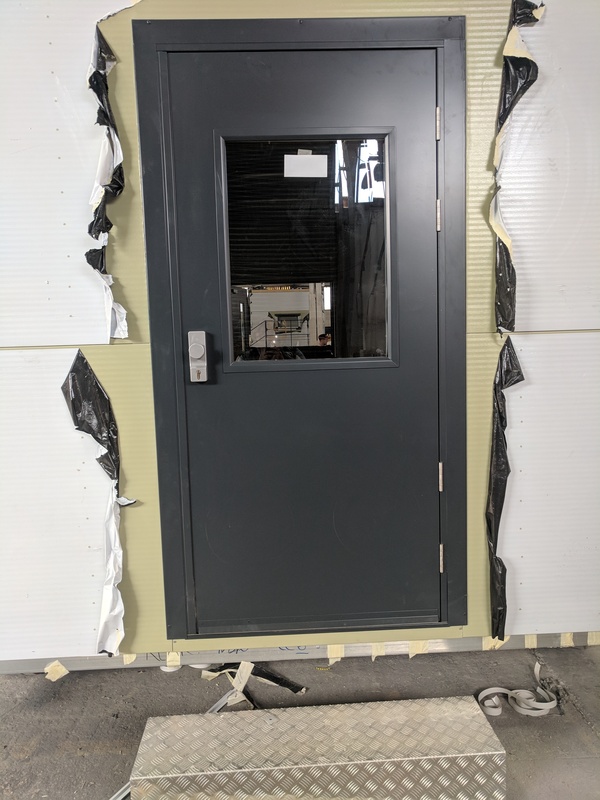 " Wide Steel Fire Exit Door c/w DGU Vision Panel "
" Door fitted perfectly and was easy to Install "
" installed these louvred doors to the site own compound to allow safe ventilation of chemicals. " 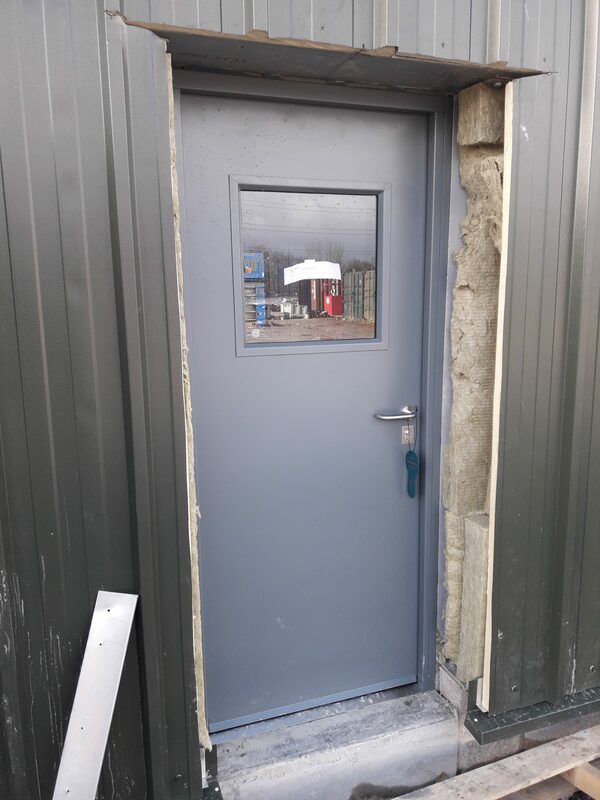 " Great doors and highly secure, 5 star. " 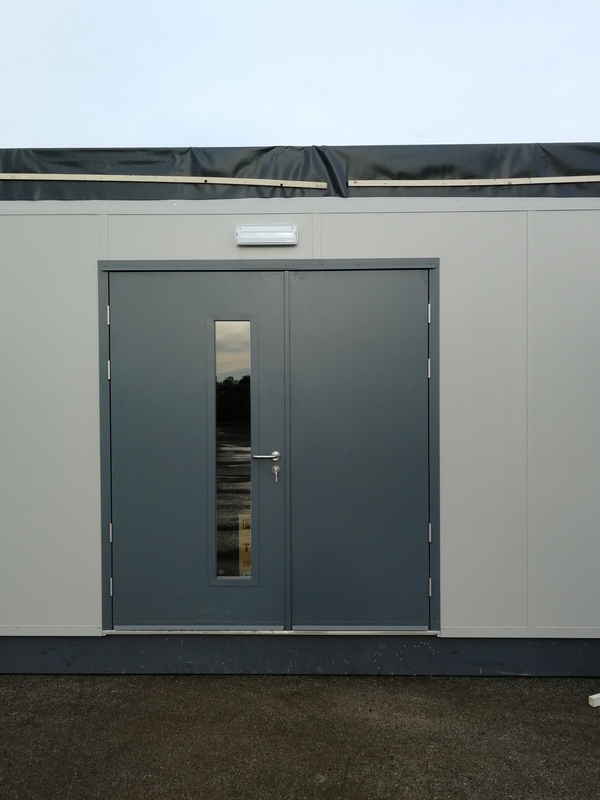 " High quality products suited to our needs. " 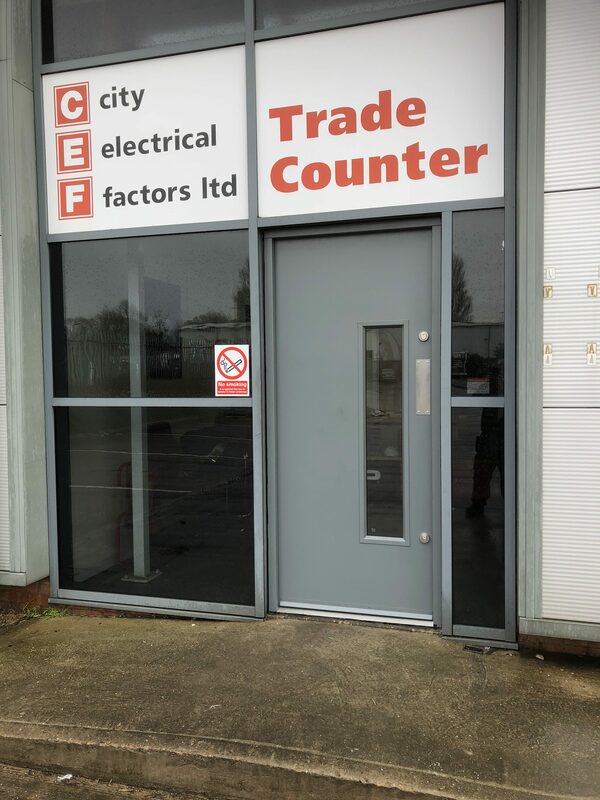 " Excellent service. 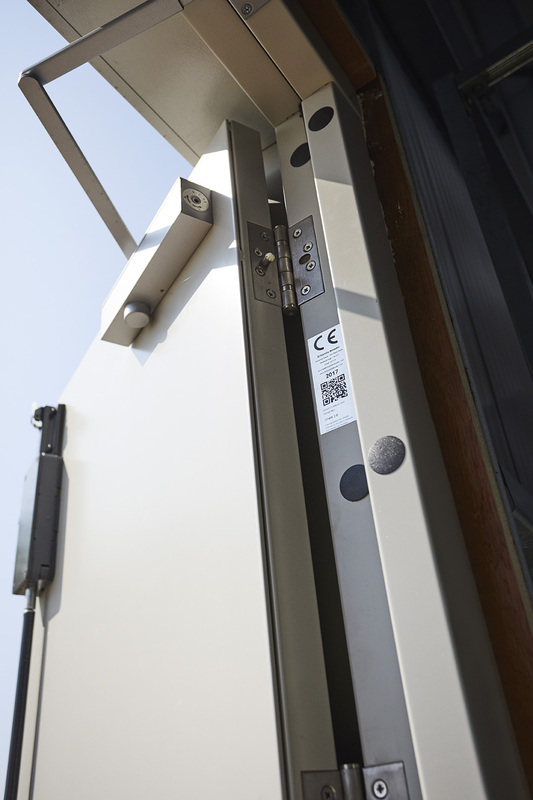 Great product! " 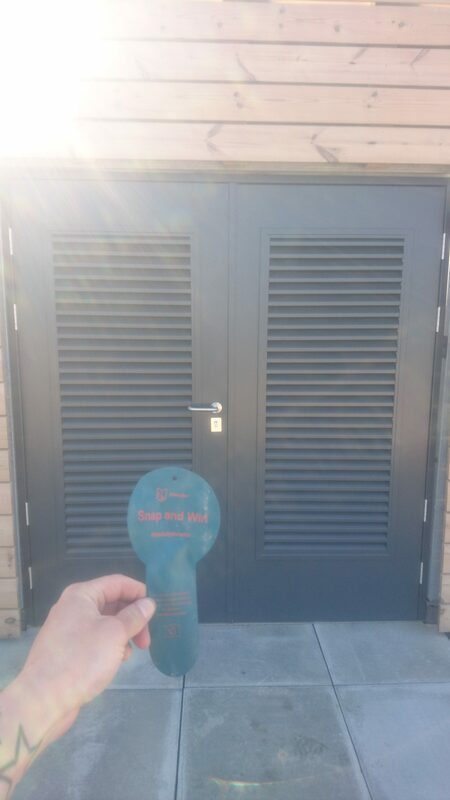 " Fantastic service and quick and easy installation. 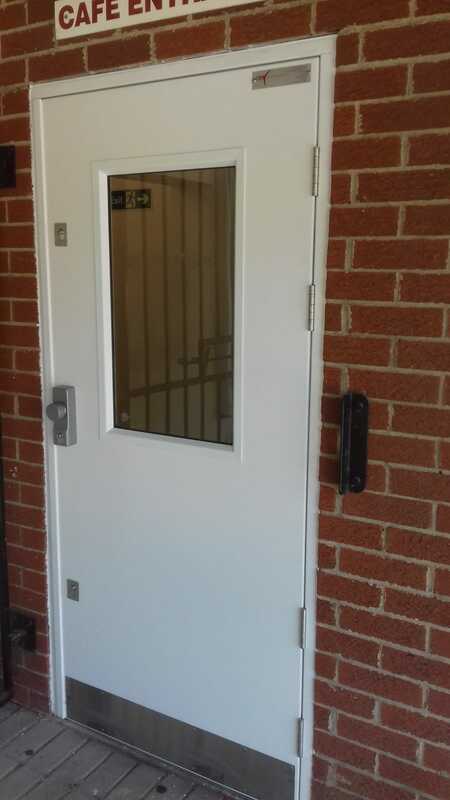 We would recommend Metador for all your security and personnel door enquiries. "